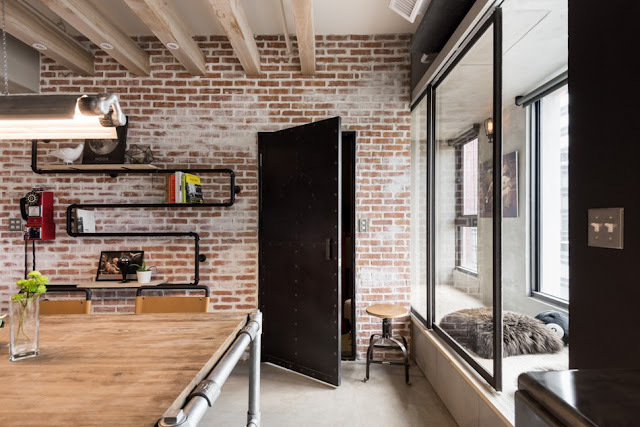 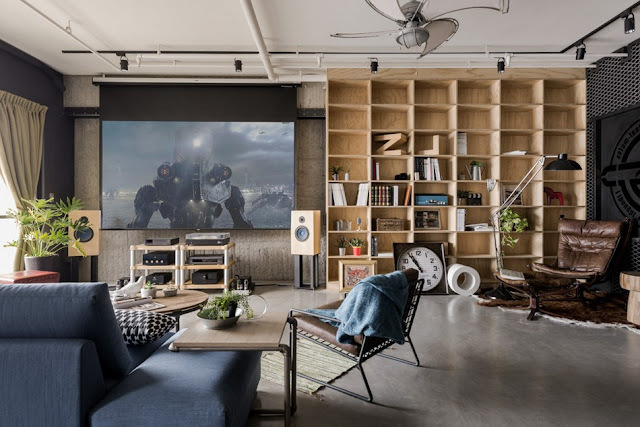 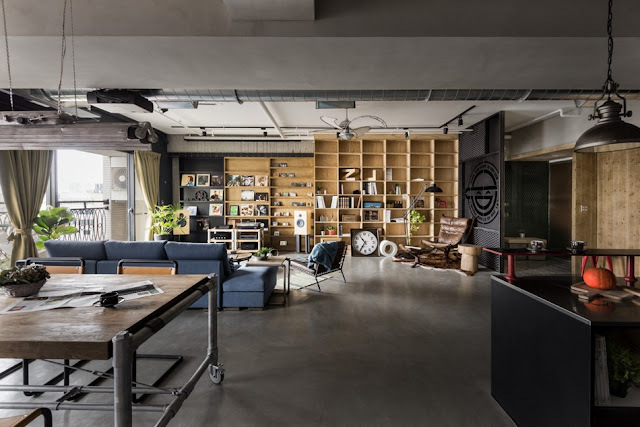 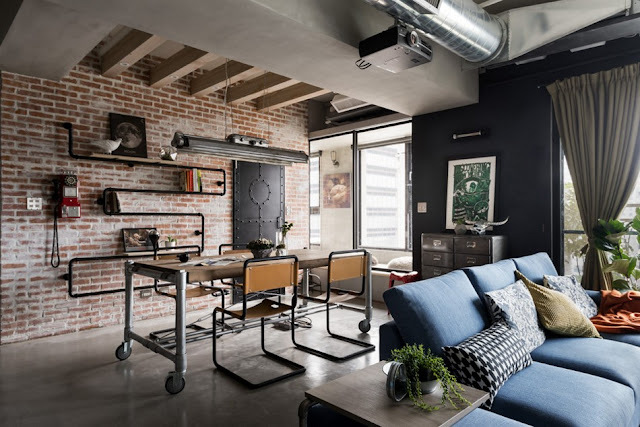 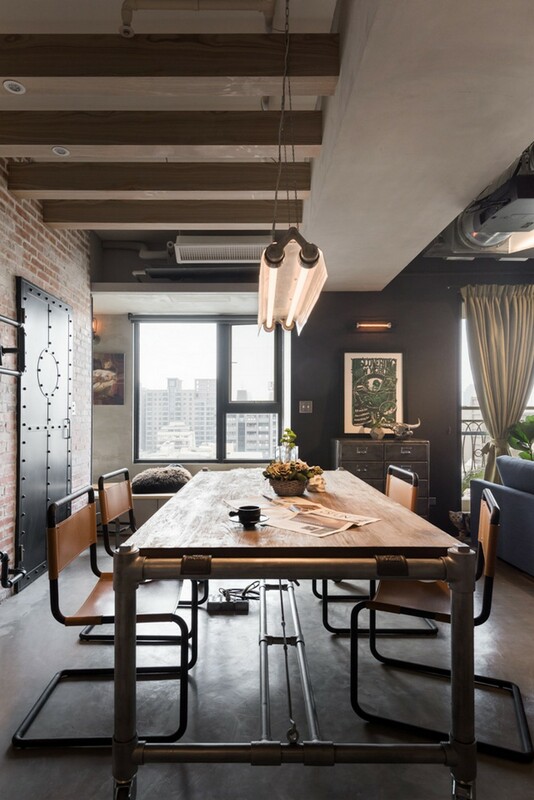 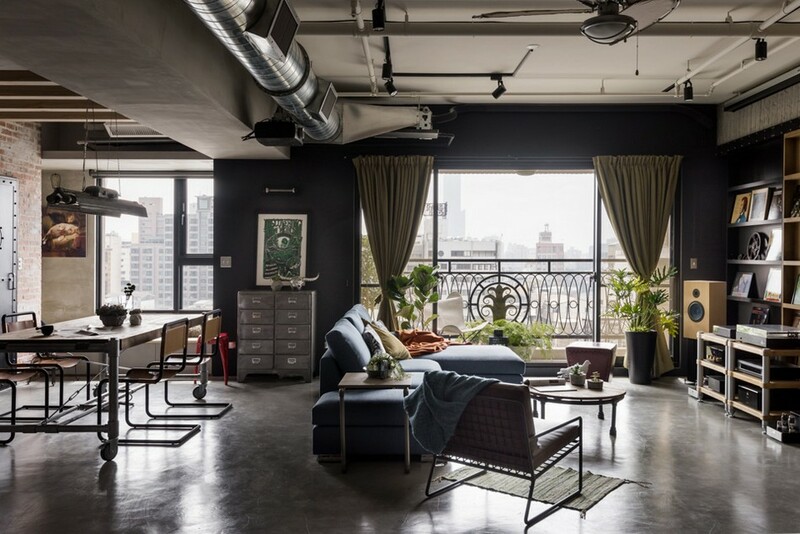 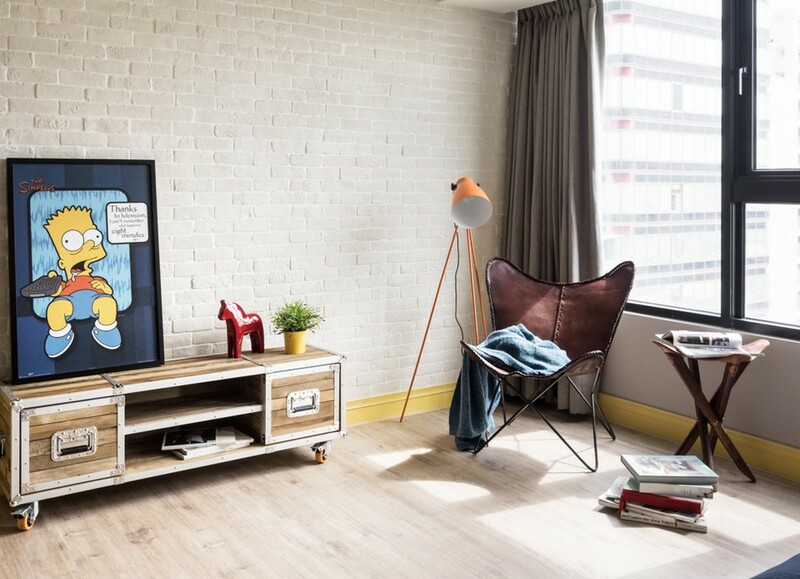 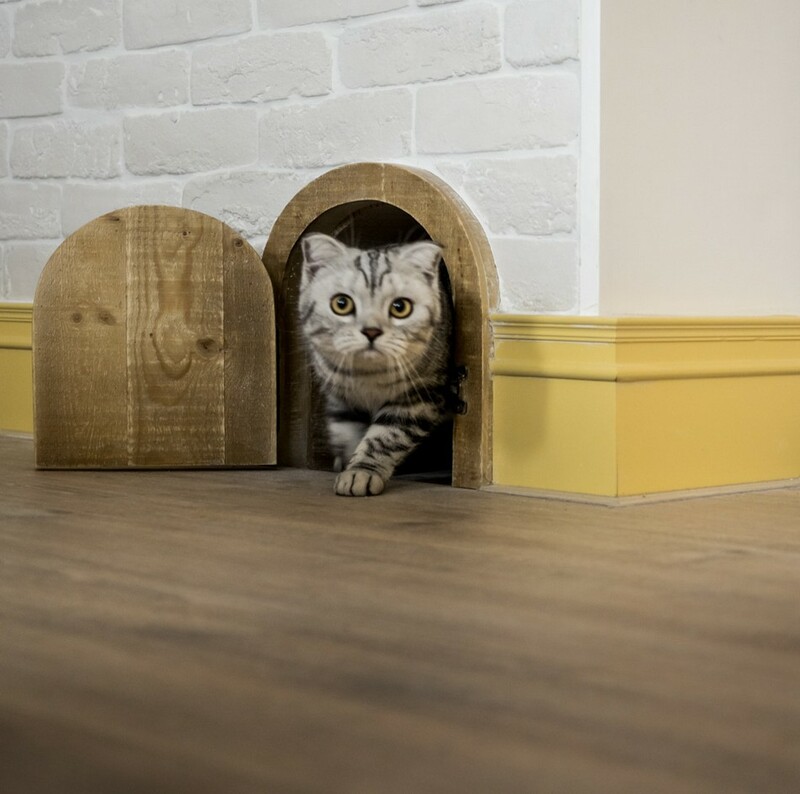 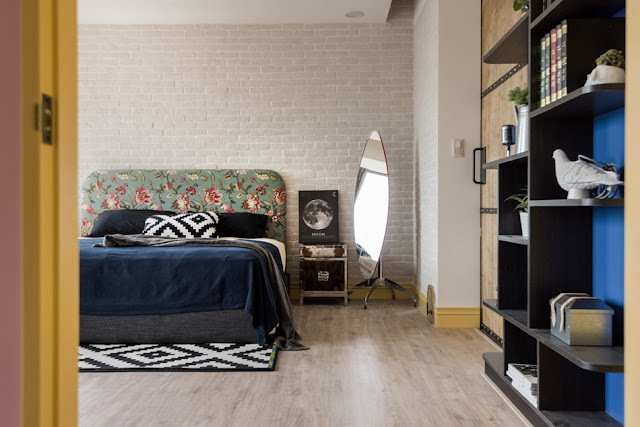 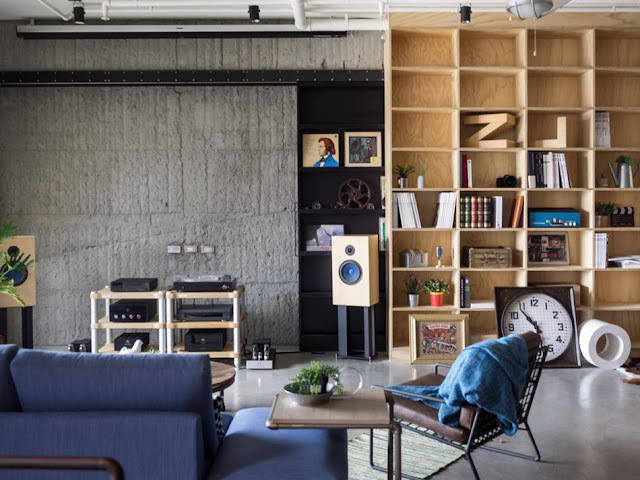 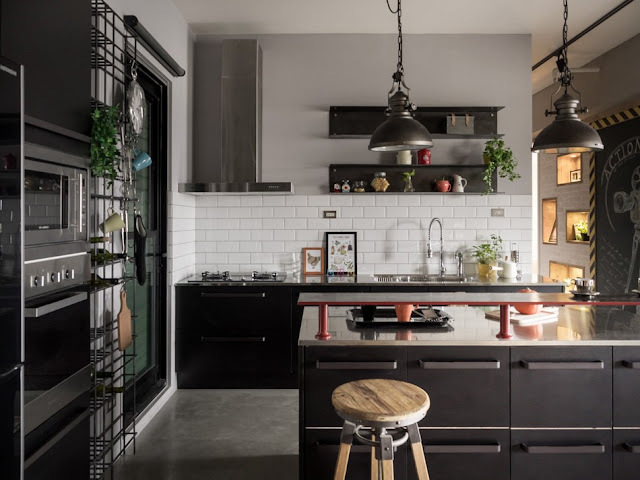 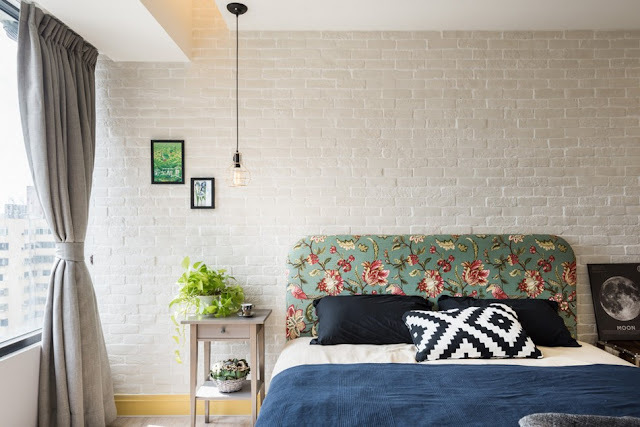 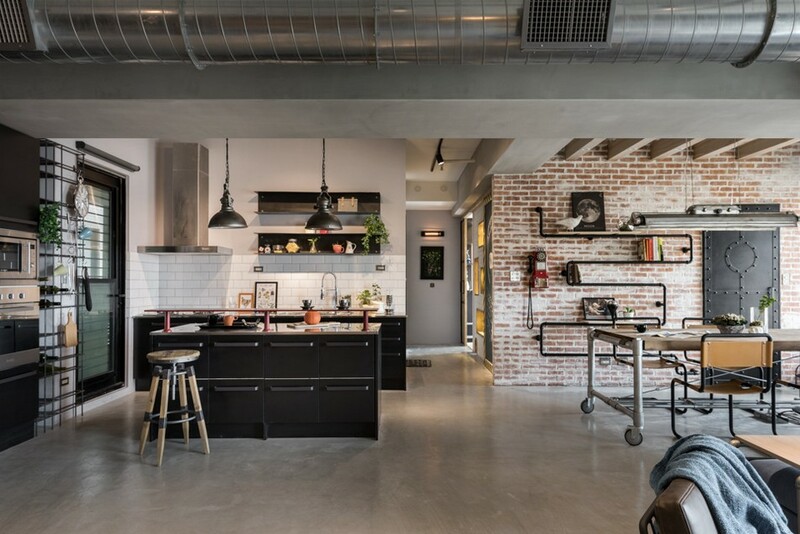 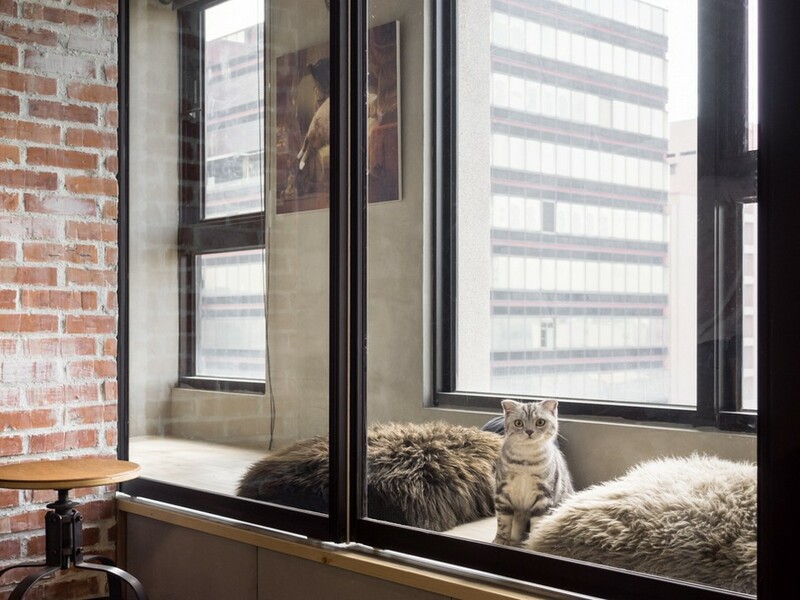 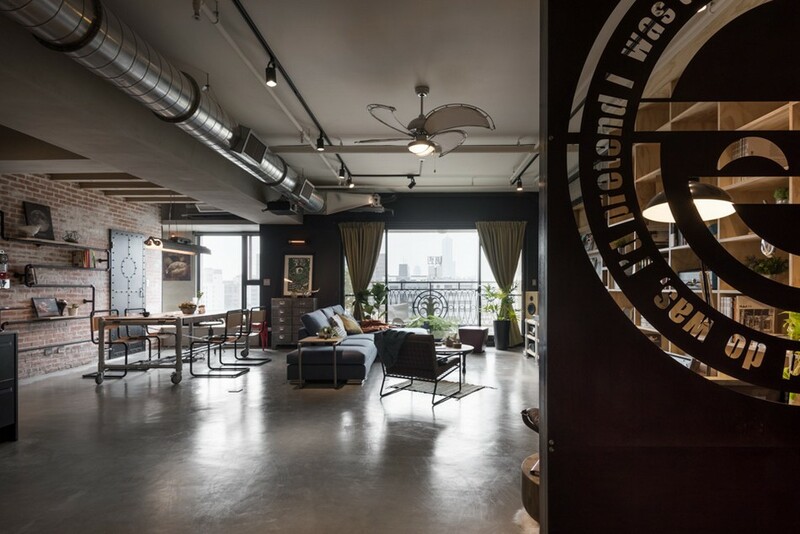 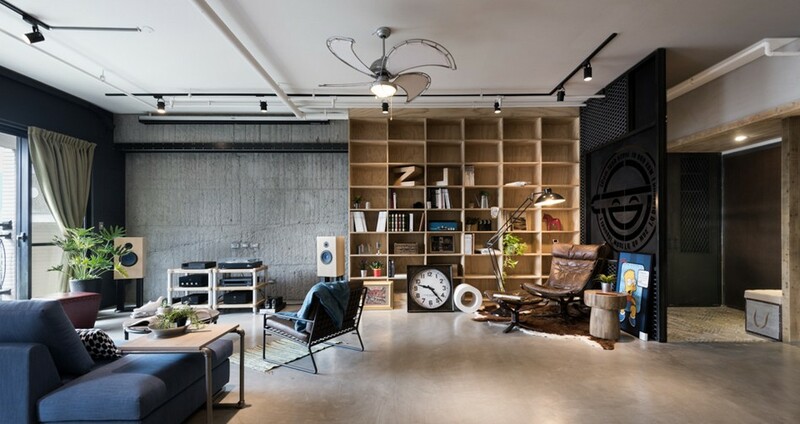 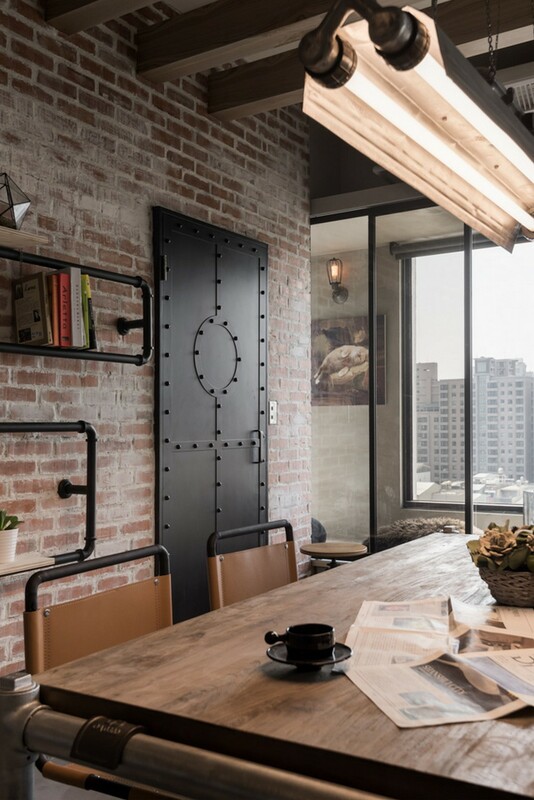 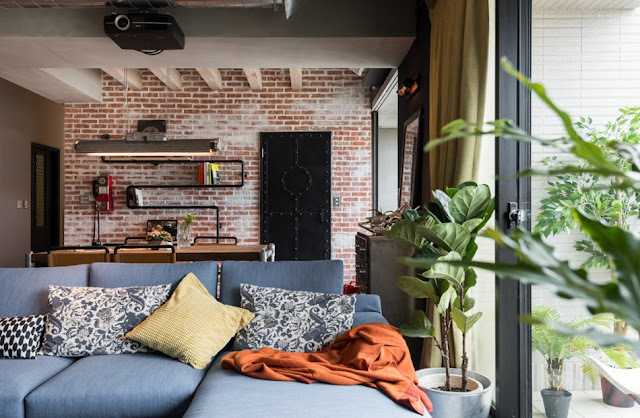 HAO Design Studio completed the design and development of Recall Casa, a charming industrial home design especially envisioned for a couple and their three cats. 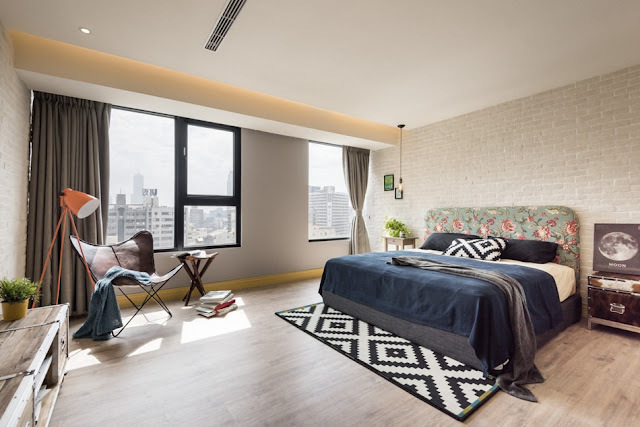 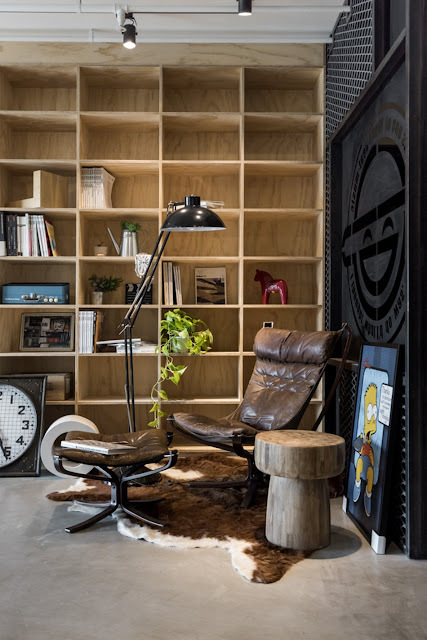 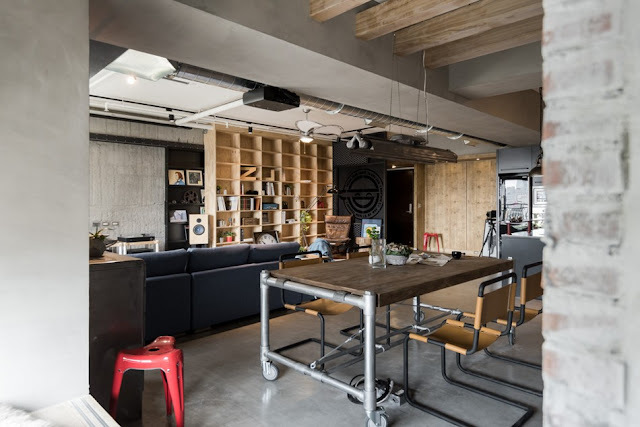 The unconventional crib is located in Kaohsiung city, Taiwan and has comes with a total living surface of 155 square meters. 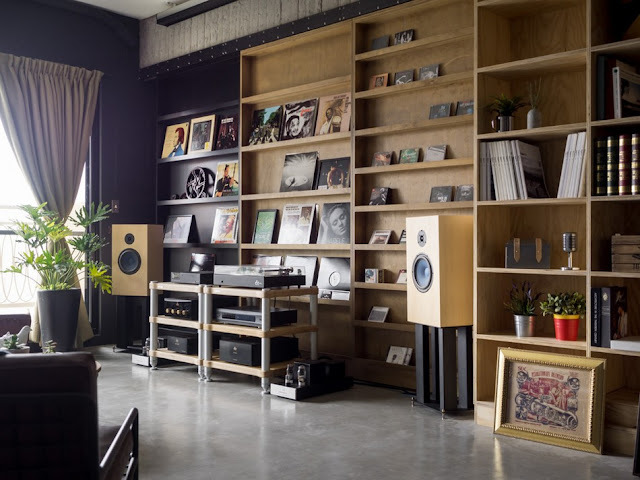 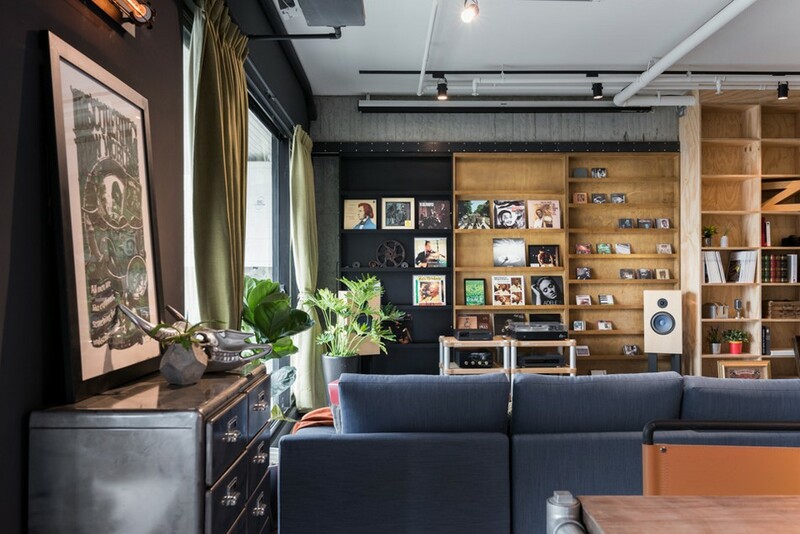 The old movie poster, gramophone record and vintage camera make this space looks like a loft café. 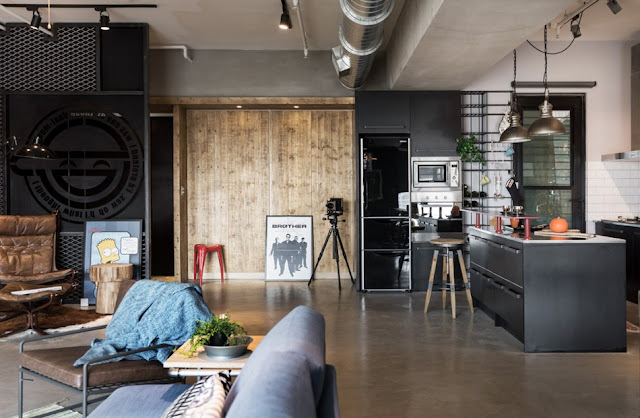 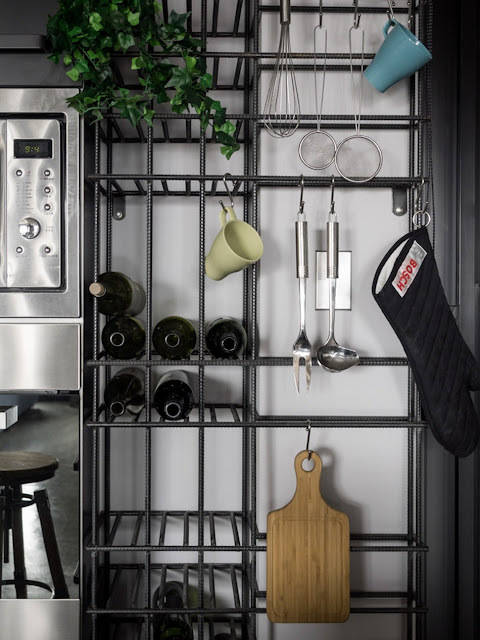 The entire vintage collection of the owners is carefully put on display, resulting in an original home design with plenty of eye-catching elements.